That the United States has not seized a great opportunity to walk the talk on its human rights mantra shows that things are not what they appear to be. It was always too much to expect US President Donald Trump — addicted to sanctions as America is — to impose sanctions on Saudi Arabia for the disappearance, torture and murder of a Saudi journalist, Jamal Khashoggi, after he entered the Saudi consulate in Turkey on October 2. Addicted to sanctions as the US is, there is too much at stake for the US to lose — such as the $110 billion arms deal with Saudi Arabia and the 500 000 US jobs linked to that, as Trump pointed out, saying "we cannot punish ourselves" (by slapping sanctions on Saudi Arabia) despite the gross human rights violation committed by Saudi Arabia. Yes, there won't be any sanctions on Saudi Arabia like the so-called Zimbabwe Democracy and Economic Recovery Act because it will be too big a price to pay for both parties, that is, the Americans and Saudis. This is to disabuse some fellow Zimbabweans of the wrong notion that the US is the biggest upholder of human rights as they have been falsely led to believe. This is also to point out the insidiously and suicidally harmful nature of sanctions. That's why opposition politician David Coltart wrote in his book, The Struggle Continues: 50 Years of Tyranny in Zimbabwe (published in 2016) that in 2010, after the formation of the Government of National Unity (GNU) in 2009: "I've felt that the remaining sanctions were past their sell-by date, we met a broad spectrum of American politicians for support of the GNU and removal of sanctions. Our task, however, was hampered by disparate voices within the MDC-T, some of whom were quietly encouraging the Americans and others to retain sanctions, while publicly calling for their removal." Yes, like Trump said, we should not punish ourselves. Fast-forward eight years, these same politicians are still as duplicitous as ever, urging the US — behind closed doors as they did in 2010 — to tighten the sanctions while saying publicly that the government is failing, but deliberately not mentioning that those sanctions that they are behind, having become poster boys of the US embassy, are largely responsible for the suffering of the majority as the sanctions have ramifications of closing vital global lines of credit and — through sanctions-busting and creating shortages in the economy — worsen the already rampant corruption in the public sector, private sector and civil society. There is a lot of ignorance resulting in some of these people glorifying and romanticising the racist colonial past, saying there was only 5% unemployment in Rhodesia, but that 5% pertained to whites only, as blacks were regarded as sub-humans, thus, in many cases not factored in statistically. Such a misconception is so shockingly ignorant that it reveals that those who believe it to have had a very narrow and very specific kind of indoctrination. The number of blacks migrating to urban areas was strictly controlled by whites. Because of the resultant ratio of more men than women in towns, this gave rise to prostitution on an industrial and commercial scale and associated social vices. Because accommodation was for single males, not families, the Smith regime broke families. The underground counterculture — as seen in the gang culture and moral maze now embedded in the overcrowded Mbare hostels — is a by-product of Rhodesia's apartheid system. There is also the misconception that there is no underclass in the West. The basic problem of the inner-city underclass is inadequate housing and lack of jobs. Likewise, we have an urban underclass in Zimbabwe like in the ghettos of New York. And anyone who thinks the slums of London were swept away decades ago only needs to see pictures released by British charity organisation Shelter. Families living and sleeping in cramped flea-ridden and rat-infested hostel rooms, such as Hyleford Hostel in East London, is not unusual — the same as at Matapi Hostels in Mbare, Harare. And at times we point fingers at government when we are equally to blame like in 2013 when people — including you and me — became complicit in the outrage by then Local Government minister Ignatius Chombo of cancelling all outstanding local authority bills despite the sensible and valid objections of the then main opposition MDC-T party, warning of financial disaster ahead. Yes, taking the easy way out — choosing or finding a solution or means of dealing with a situation or problem that requires the least amount of effort or hardship, but which does not achieve the best results or meaningfully resolve the issue — has consequences. Now we see the same taking-the-easy-way-out syndrome over what needs to be done to turn around the economy, with some people condemning each and every move taken by government instead of offering constructive criticism. Last week, we had Progressive Teachers' Union of Zimbabwe secretary-general Raymond Majongwe not only demanding bonuses for teachers, but saying they should be paid in US dollars. This is voodoo economics borne out of economic illiteracy. Linked to that simplistic view is the myth doing the rounds that the current economic upheavals have everything to do with the results of the 2018 harmonised elections, and this myth is being reinforced by the false mantra that "you can rig the election, but you cannot rig the economy". It needs to be restated that the current measures being implemented are in direct response to the preconditions set by international creditors long before the elections for Zimbabwe to clear its foreign debt and get balance-of-payments support. This has nothing or the least to do with whether someone won or lost an election. Those who listened closely and carefully before the elections and after former President Robert Mugabe's ouster in November 2017 knew this bitter economic pill was coming and that there is no other way than to swallow it stoically. One thing for sure is that I will not allow myself to be drawn into the antagonistic binary narrative of those people — some of them economists— who are determined to see the economic stabilisation programme fail, not on economic-sense grounds. It's not debatable that some people are hoping and praying for Finance minister Mthuli Ncube's failure for blatantly selfish political reasons in total disregard of the greater good. There is always initial resistance to new measures, but people will eventually get used to that tax if they see the benefits of it all. And many people are willing to pay that tax because they see that as sensible and necessary in the circumstances. Let's not presume that all people are against it. 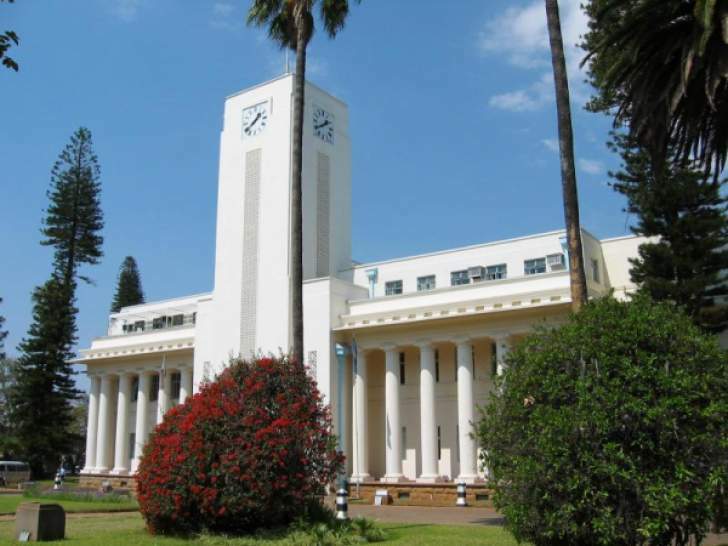 And if the Zimbabwe Congress of Trade Unions is genuinely against the 2% electronic transfer tax to the extent of calling for nationwide demonstrations against the move, can it also seize the opportunity by walking the talk and call for Bulawayo residents to demonstrate against Bulawayo City Council for increasing rates by 5%? Or they will be reluctant and selective — like Trump over Saudi Arabia — since Bulawayo City Council is run by MDC Alliance, their close political ally?